This year theme is “Art in Motion” aims for higher community reach through community wall art project which is one of the largest single art wall measuring more than4000 sq ft. It is turning out to be as a canvas to create nations one of the largest crowd sourced mural with around 3000 participants. The wall will depict a version of Majhi Metro Art Train. A space has been created in Andheri Metro Station as an ‘art café’ which will exhibit work of celebrated photographers. The ‘art café’ will also promote the poetry of masses through ‘poetry tree’ wherein people may come and hang their piece of poetry in the exhibited tree. An innovative way of creating space for group poetry will make people try their hands in poetry with a single line and be part of the creative chain through ‘light box’. The popular contests of Majhi Metro namely photography, poetry and painting contests will also be part of this year’s “Art in Motion” theme. 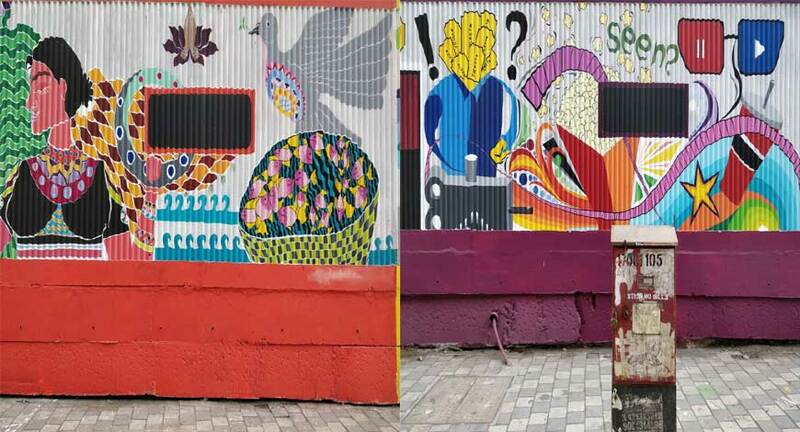 Even before its launch, Mumbai Metro had commissioned architecture students to create giant murals on its station walls to give its premises a vibrant feel. For a busy MRTS that is used by around 4 lakh on a weekday, it is important that the commuters also become stakeholders in its operations. It is through events like Majhi Metro that an effort has been made to inculcate a sense of co-ownership of Mumbai Metro among the commuters. Reliance Infrastructure promoted Mumbai Metro One has been in operation for more than three and half years having served more than 340 million commuters. It is carrying approximately 4 lakh commuters on typical weekday in its 11.4 km stretch making it the 8th densest corridor in the world and the densest in the country. In spite of such a high ridership, MMOPL is operating with world class standards of 99.9% punctuality and efficiency. The 11.40 km Versova- Andheri Ghatkopar (VAG) alignment with 12 stations has helped reduce travel time for commuters from 90 to 21 minutes.